Morning FitHair Crew! I am overdue in sharing some exciting news. If you follow me on Instagram you already know some of my exciting-to-me pieces of news this week but if not, now is a good time to let you know a bit of what has happened. Encourage Black Americans and others to pursue a healthy lifestyle through long distance running and walking. In addition to being a member, I am a director on the board and typically serve in our marketing initiatives. From managing social media to being the National Black Distance Hall of Fame Event Manager, I truly poured my heart into an organization that impacts the community around the country. Some of you saw me last year, travel the country speaking and helping churches start a walking program. Often times, I am more behind the scenes making sure things happen for our members and make sure they are achieving their goals and dreams. For many runners, completing the Boston Marathon is on their “bucket list” or a wish. The Boston Marathon is a big goal to run it and earn your “jacket.” I didn’t think it was even possible for me to run Boston nor did I know any blacks who had accomplished running Boston until several years ago. I meet one of our members, Isaiah Douglas who has qualified over 20 times and ran it at least 14 times. After meeting him, I remember telling him one day I will because I saw you did and so did others. Each year I saw the growth of Black Boston Qualifiers and Runners thanks to one of our members, Adrienne Benton, who has coordinated the Boston Marathon “Meet and Greet” for Black runners for several years. When chatting with folks, most members have expressed a desire to not only run the race but to represent the Black Marathoners as a charity and raise funds. So, our organization went to work recently. 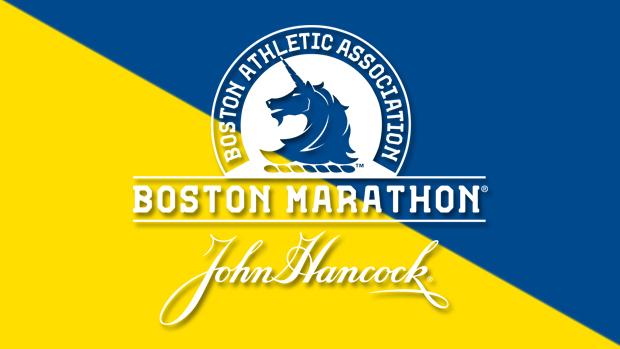 We have built a great relationship with the BAA (Boston Athletic Association) and many of their runners. It’s pretty cool, I have even gotten to meet and hang out with Olympian and Boston Marathon winner Meb Keflezighi and awarded him for his accomplishments. If you don’t know about Meb, you need to know stat! Additionally, my “running godfather” is Tony Reed the first African-American to run a marathon on all 7 continents. I am in good company, to say the least. Anywho, I am rambling on. You get the point. I am really involved in the running community and impact it in historical ways. The NBMA received two invitational entries to the 2018 Boston Marathon. Each entry requires a fundraising minimum of $5,000. The donations will be used to support NBMA college scholarships, operations, educational programs, achievement awards, hall of fame, and coaching grants. This includes delivering a running workshop for the Boston community. So my goal of running the Boston Marathon is happening while I am making history as well. I am so excited and already set out a full training plan because I have to be a smarter and faster runner unlike anything before. But I need your help! I can’t run it without meeting my fundraising qualification. Please help me get to Boston by donating. You can donate anything as every little bit helps, plus it’s going right back to an organization I truly love and impacts the community dollar for dollar.